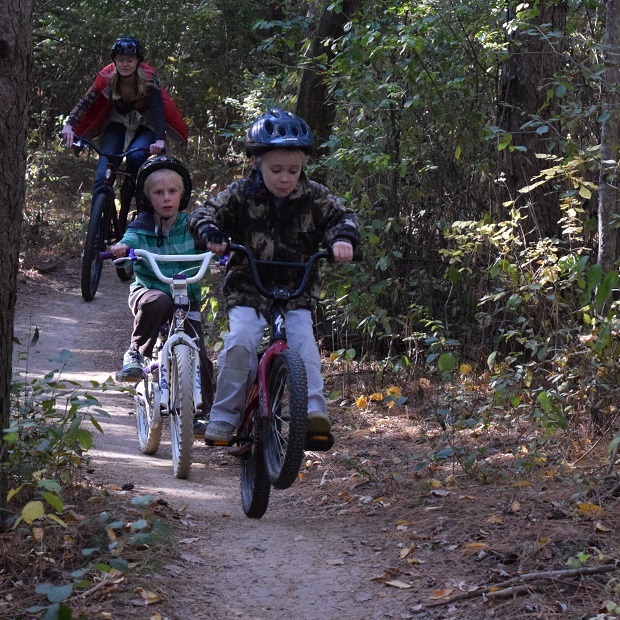 Here in this photo above mom follows the kids down a mountain bike trail as junior pops a wheelie out in front, here near Grand Rapids. Along the MRT (Mississippi River Trail), this bike friendly community is the Gateway to the paved Mesabi Trail System and also offers miles of quiet, scenic Northern Minnesota county roads for bike touring fun. See more biking here at At-a-glance Grand Rapids. This entry was posted in News and tagged #FindYourNextAdventure, #onlyinMN, Family Bike Ride, family mountain biking, Mesabi trail, Mississippi River Trail, Road Biking MN on December 8, 2015 by Russ Lowthian.